Johnson County Transit (JCT) postponed the ribbon cutting for its new Mission Transit Center for a whole month, but the wait was worth it. 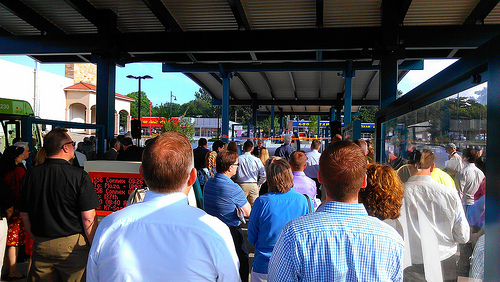 July 1st was a beautiful day to celebrate the official opening of the Allen Roth Transit Center. Johnson County Board of County Commissioners Chairman Ed Eilert spoke at the dedication of the Allen Roth Transit Center in Mission. The new transit center has 73 transit departures from this location every weekday. 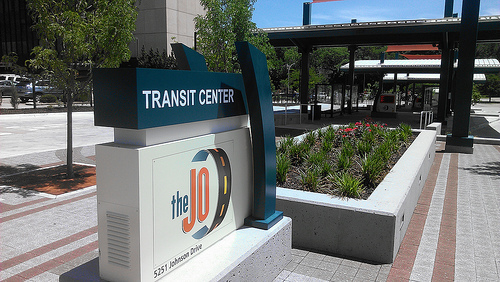 The Transit Center is located at 5251 Johnson Dr. Parking is next to Wendys on the south side of Martway just east of the transit center. Although the transit center serves 5 additional JCT routes (546, 660, 661, 667, and 672) , the big excitement is over the introduction of the new CONNEX service. CONNEX is the brand for the Metcalf / Shawnee Mission Parkway route (556/856). The route began operating under this brand name on June 3, 2013. There are 17 round trips daily between 119th or 135th and Metcalf on the south, and the Plaza / UMKC / Rockhurst on the north and east. The JO has six of these buses for use on this route. Each seats 25 passengers. Midday trips are often operated using smaller buses since these trips may “flex” off-route to pick up or let off passengers who have made advance arrangements. Socializing before the dedication ceremony begins. Dedication ceremonies begin, July 1, 2013. Johnson County Board of County Commissioners Chairman Ed Eilert speaks at the dedication of the Allen Roth Transit Center in Mission. 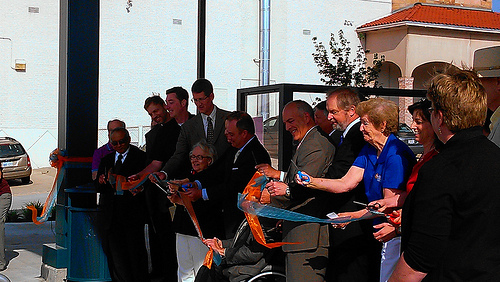 Elected officials cut the ribbon to dedicate the new Allen Roth Transit Center in Mission, Kansas. July 1, 2013. OK, so maybe you’re not really a Mall Rat. In fact, you might even have some strong biases against shopping malls. No matter. Visiting a mall once in a while is OK — especially if it’s 105 degrees in the shade outside. 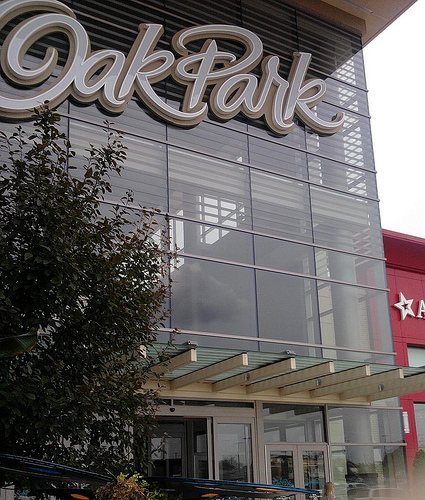 Here’s a plan for a half-day excursion from Kansas City, Missouri (or KCK) to Oak Park Mall http://www.thenewoakparkmall.com/shop/oakpark.nsf/index in nearby Johnson County. Let’s assume you’re a Metro rider. Take the Metro bus of your choice to Crown Center (or nearby Union Station), arriving there by 1:15 pm on any weekday. These are some of the many Metro routes that can get you there: Main Street MAX, 27, 47, 51, 54,123, 142, 173, etc. When you board, swipe your Metro transfer through the farebox, just as you would on a Metro bus, and settle in for a 50-minute ride. You’ll find the JO bus to be clean and comfortable (with really cushy seats), and the driver courteous and helpful. After a quick sprint along I-35 the bus goes south on Roe through Roeland Park, west along Johnson Drive (pausing at The JO’s new Mission Transit Center at 5251 Johnson Drive), then west on Martway and Shawnee Mission Parkway, south on I-35 and US-169, and west on 95th Street to Oak Park Mall. Once at OPM you can (1) Shop, (2) Window-shop, (3) Shop, (4) People-watch, (5) Shop, or (6) Eat at one of the many eateries in the food court or near the mall. Eventually — even though you might not want to — you’ll need to head back home. Fortunately The JO has several buses that will get you back. You can also return via Route 546 or Route 575. After that, your coach becomes a pumpkin, and you’ll have to call a friend or a taxi — or start walking. Important note about your return fare: You probably got to OPM using a Metro transfer. The JO accepts a Metro transfer, but not a Metro monthly pass or day pass, so you’ll need to pay the regular fare to The JO to return. (Shades of Charlie on the MTA?) The regular fare is $2.25 for adults, and $1.10 for seniors (with any ID that shows your date of birth). Kids 5 and under ride free, and kids 12 and under must be accompanied by an adult. If you don’t have a Metro monthly pass or day pass to complete your trip once you return to Metro territory, just tell your JO driver, “I need a transfer to the Metro.” The Metro accepts The JO transfers. KCATA Route 175 on Metcalf Avenue? 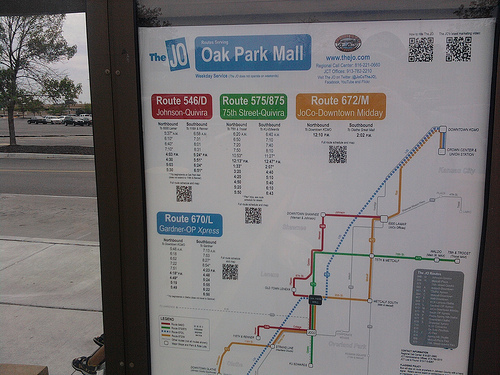 Transit Trivia: How many places along Metcalf Avenue can you find a posted bus schedule? In this view, the second northbound afternoon Route 175 trip stops to board another rider (plus your humble snapshot taker) at the southeast corner of 95th and Metcalf. Note the bus stop sign, and the frame for the bus schedule below it on the light pole. This schedule, along with one across the street on the southwest corner of the intersection, are the only places we know of where one can find a bus schedule posted along Metcalf. That’s the answer to the trivia question: TWO. 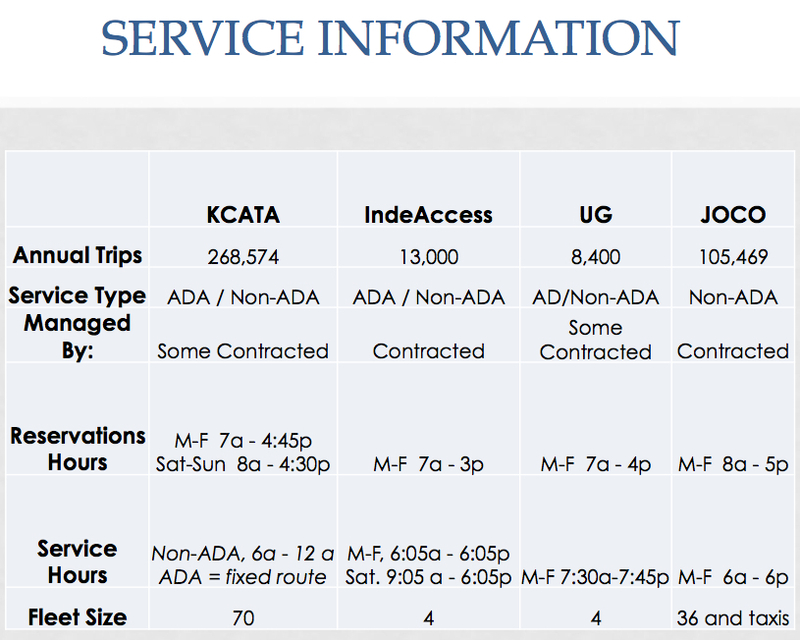 What irony that the only bus schedule along Metcalf — the street that’s being prepared for Johnson County’s “Connex” service next spring — is provided by KCATA, and it’s only about their Route 175. Oh — about all that dirt: This is the site of one of the new Connex bus stops. It’ll have a shelter and a digital sign that’ll tell you when the next bus arrives. Off to the left is the Metcalf South Shopping Center. The JO’s park-and-ride lot will be relocated to this corner from its current location on the east side of the shopping center next to the Glenwood Arts Theater. Another Connex stop and shelter will be constructed on the west side of Metcalf, just south of 95th Street. Johnson County Transit (JCT) has released a Revised JCT Service Reductions Aug 14,2012 report for eliminations and reductions to its transit system. Make additional schedule modifications on four other routes based on comments and service efficiencies. Here are the original 9 routes slated for eliminations with some of our comments. Review the JCT report for additional information. Keep in mind that JCT is still reviewing the routes and could make more changes. Route 676-P – Paola/Spring Hill/Olathe Eliminating this route and Route 816 will leave these communities and seniors without any transit. The Special Edition does not operate in Spring Hill and Paola. Route 810 – DeSoto FlexRide This change will leave this community and seniors without any transit. The Special Edition does not operate in DeSoto. Route 816 – Spring Hill Shuttle Eliminating this route and Route 676 will leave this community and seniors without any transit. The Special Edition does not operate in Spring Hill. Keep routes instead of eliminating them; make significant service reductions. Route 66-E – Nall/Downtown – Reduce from 4 to 2 trips This reduces service between Johnson County and Wyandotte counties. This is the only JO service that goes to KU Med. Routes with only one morning and one evening trip are bound to fail. The national transit-consulting firm Nelson Nygaard recommends at least 6 trips (3 each way) to make a successful commuter route. If they must reduce service, JCT needs to consider other options in order to keep the four trips. 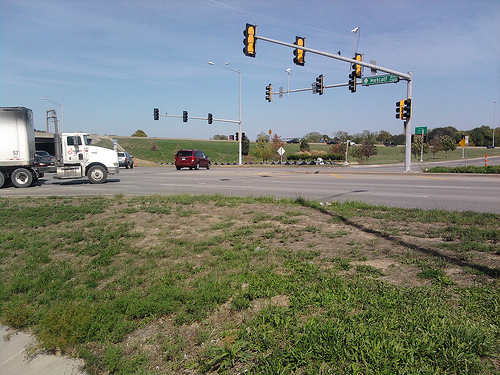 Route 672-M – JoCo/Downtown Midday – Keep but eliminate Metcalf portion of route The route would travel from Mission to OPM on Shawnee Mission Parkway, I-35, and US-69, instead of using Metcalf and 95th. This re-routing should save 10-15 minutes per trip. 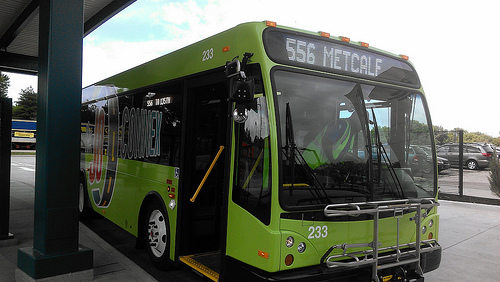 Transfers to Metcalf destinations can be made via 856 in Mission. South of Oak Park Mall, the route would remain unchanged. Downtown employees who want additional midday flexibility could take MAX to the Plaza and transfer to 856, or to Waldo and transfer to 875. Route 812 JO Flex– Reduce from 3 days to 2 days This change is better than eliminating the route. 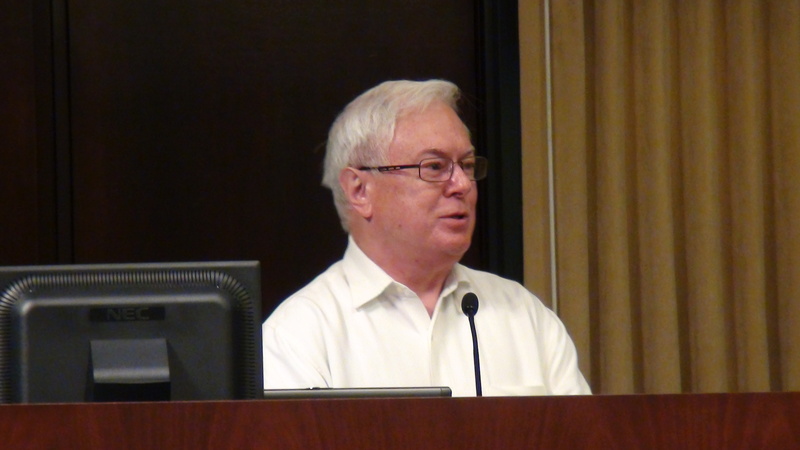 Transit Action Network knows that JCT is trying to combine routes and provide as much transit as possible for its current riders given the budgetary restrictions and instructions from the County Commissioners. We are also aware that unless the County makes significant budget changes, all of these routes and more may be eliminated in 2014. Below is the Commission’s transit priority list that JCT is directed to implement over the next two years as a result of a reduction in federal and state funds. Protect the most vulnerable county residents by maintaining Special Edition and SWIFT services. 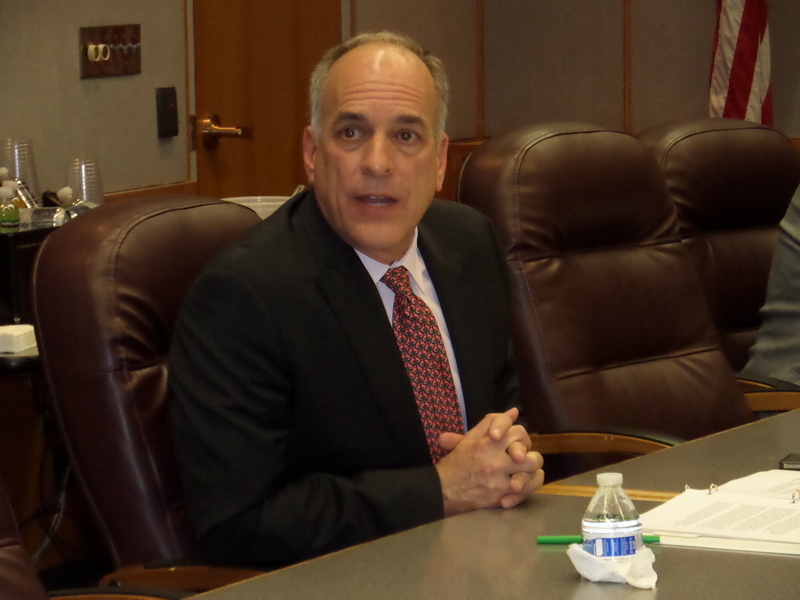 Our concern is the county’s lack of commitment to developing a full service transit system. In terms of transit, Johnson County thinks like a small city instead of a big wealthy county. Blue Springs, Missouri has a population of slightly over 50,000 people. For transit it normally considers an OATS bus for seniors and the disabled and a few commuter express buses as sufficient, although Blue Springs is working very hard to get commuter rail. Johnson County, with a population of 544,000, has stated a position that supports a similar low level of bus transit, with one exception. They want to keep the new Metcalf/Shawnee Mission Parkway and 75th Street/Quivira CONNEX routes. So do we, but these routes need to be paid for with new county funds instead of transferring funds from the current transit system. Johnson County accepted a $10.7 million TIGER grant from the federal government for improvements along the M/SMP corridor, and they would have to return the money if they cancelled these routes. Yet the county refuses to add new money to the transit budget to replace the three-year start up money the federal government gave them for operating expenses on these routes. 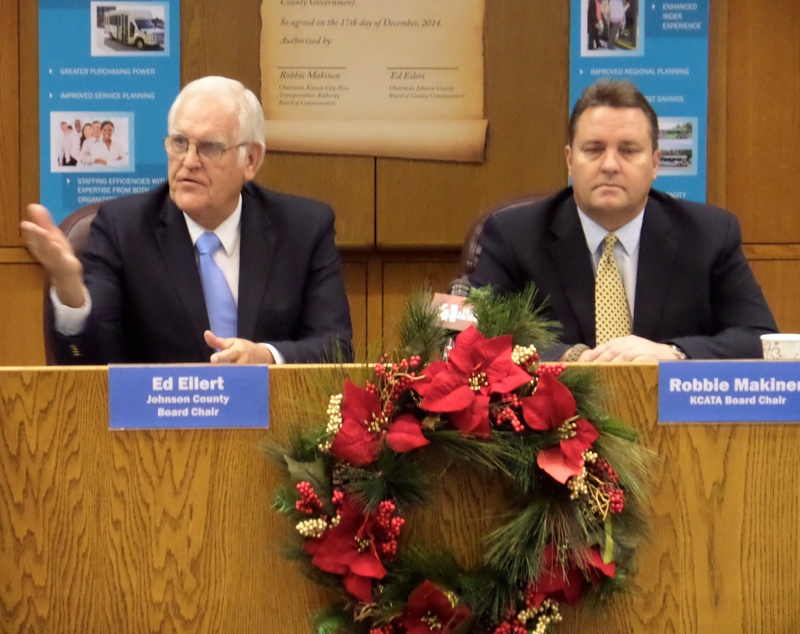 Board of Commissioners Chairman Ed Eilert complains about the cost per rider and farebox recovery ratio on some of these routes, yet he knows that the main CONNEX service has far worse performance numbers than nearly all of the regular routes they are proposing to eliminate, such as Routes 669-I, 667-E, 672-M and the JO Flex. The disingenuous nature of the Commission’s priorities is very concerning. 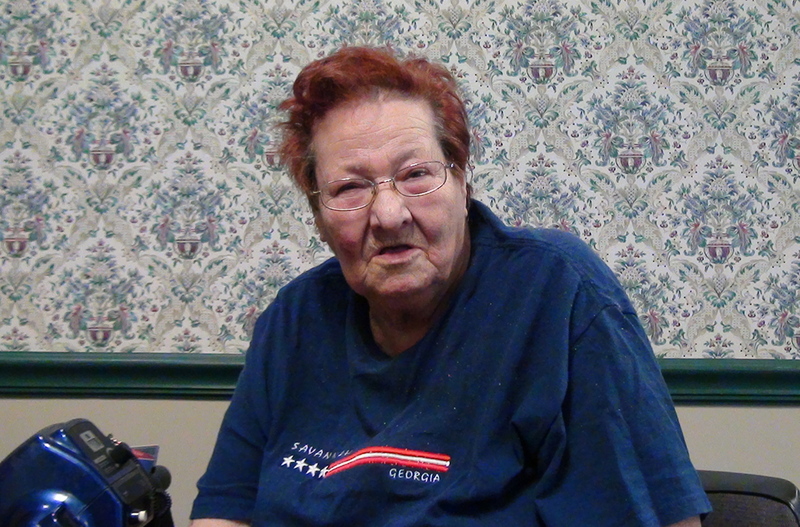 Providing transit for seniors is at the top of their list, yet eliminating the local service in Spring Hill, Paola and DeSoto will leave their elderly populations stranded once again, since the Special Edition bus doesn’t service those areas. 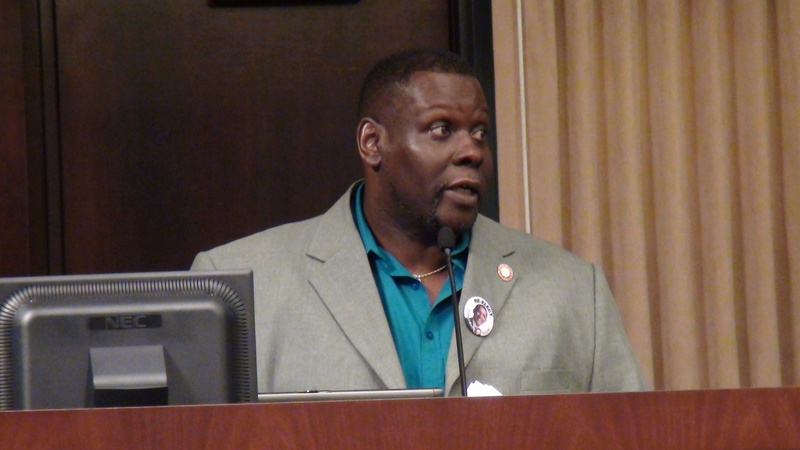 The county won’t eliminate all of the proposed routes at this point in time or they might be in violation of Title VI of the Federal Civil Rights Act. The Act says if you receive federal funds, you can’t eliminate service to minority and low-income populations in a discriminatory manner. 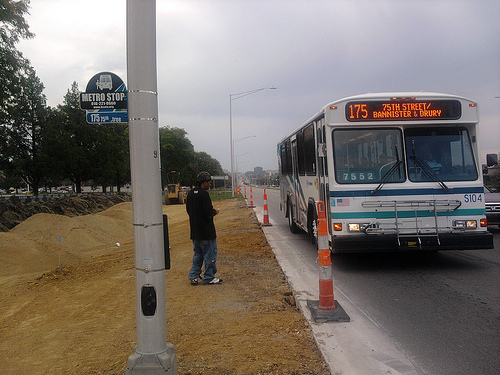 Of the original proposed eliminations, routes 546-D – Johnson/Quivira, 667-E – Nall/ Downtown, and 669-I – KCK/Lenexa/Olathe have significant service to areas with higher percentages of minority and low-income populations. These routes would be eliminated based on the Commission’s directions to JCT. You still have time to comment to the Commission on the changes being proposed. 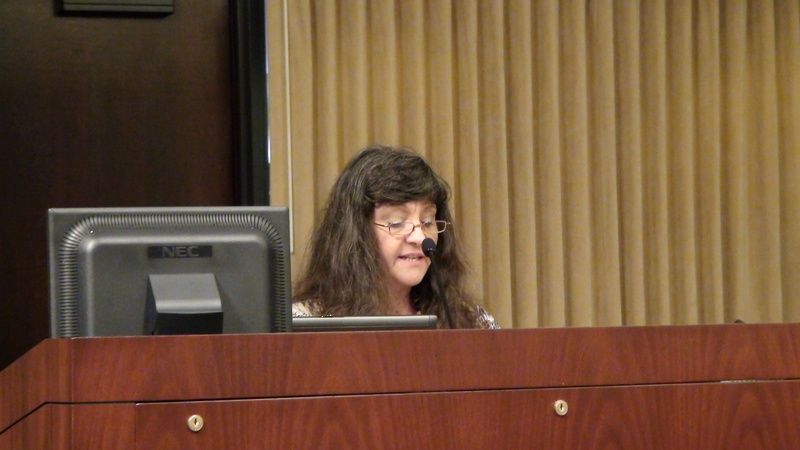 Final BoCC action is planned for October 18. 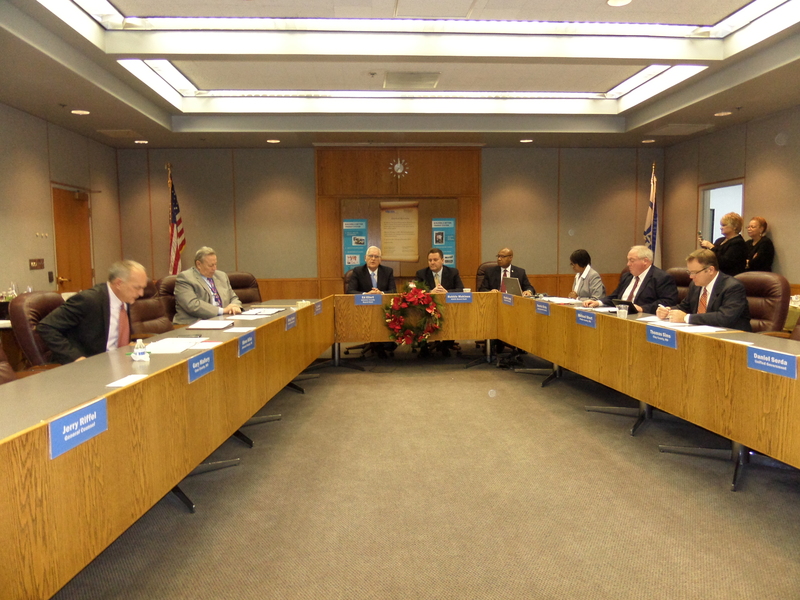 • Submit JCT/JCTC recommendations to BoCC on October 4, 2012. The Johnson County Transportation Council (JCTC) meeting on September 18 will be held at 5:30 pm at Sylvester Powell: 6200 Martway, Mission, KS so that more people can be present to hear the presentation of the final recommendations and hear the discussion. 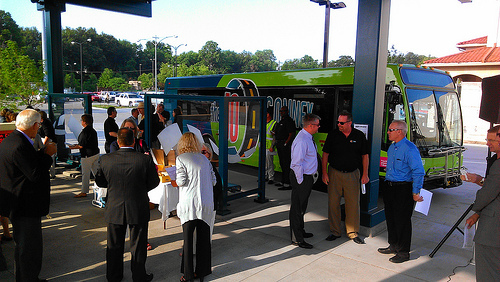 Route #812 is The JO Flex service in Overland Park. It doesn’t cover a lot of Johnson County but it is a necessity for the people who depend on it. 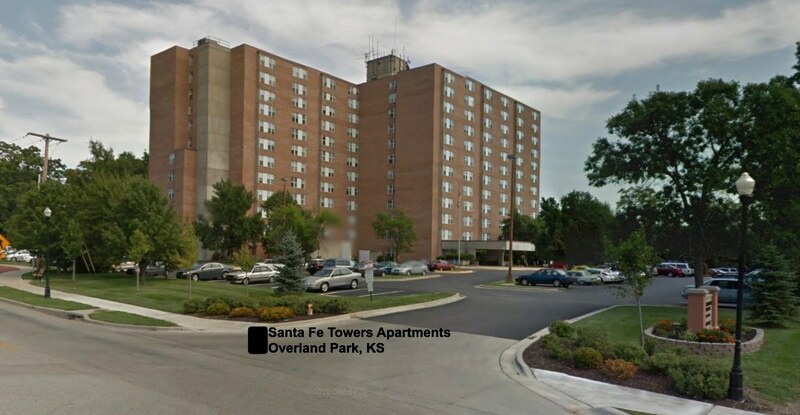 Watch seniors at Santa Fe Towers Apartments speak about their situation and concerns about the proposed elimination of this service. The JO flex service covers a rectangle from 75th Street on the north, Lamar on the east, 95th Street on the south and Quivira on the west. The service is limited between 10 a.m. and 2 p.m. on Monday, Wednesday and Friday. You don’t have to qualify to ride the #812, since it is available to anyone in the service area. Two very large retirement communities are significant users of the route, Overland Towers and Santa Fe Towers Apartments. The JO Flex is more cost-effective than the new showcase CONNEX route #556 that JCT will retain. The JO Flex has better farebox recovery, cost per rider and ridership per trip than the CONNEX route. 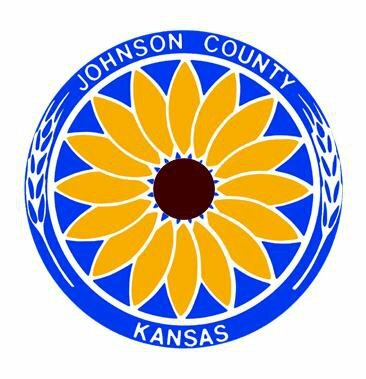 The County Commissioners have said elderly, disabled and low-income populations will have the Special Edition, which is a shared ride program, providing transportation for registered and qualified residents of Johnson County. Usually you can’t call the day before to schedule a ride because the service is already full. The Special Edition only uses buses with a capacity of 10-12 people, where the JO Flex uses larger more comfortable buses. The JO Flex fare is $1, so a trip to the grocery store is $2. The Special Edition fare is $5, so the same trip would cost $10. Switching all of The JO Flex riders over to the more expensive, smaller, over-crowded Special Edition seems like a losing proposition. Please keep the more affordable Route #812 JO Flex. This is a Missouri Dept. 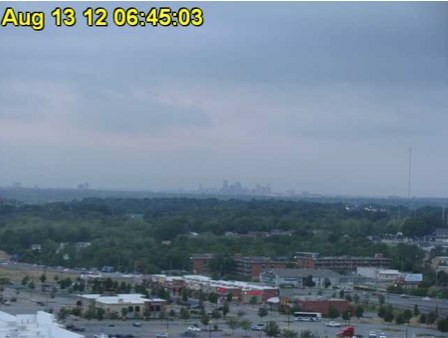 of Natural Resources photo from August 13, 2012 from Blue Ridge Mall looking at downtown Kansas City. The KCPT tower, right-middle of the photo, is 3 miles away and the downtown skyline is 8 miles away. On a bad day, you can’t see the tower and on a really bad day even the skyline disappears from view. So what is smog? The term “smog” was coined at the turn of the century to describe the hazy horizon of industrialized European cities, but around the 1950s, vehicle emissions began to take the place of factories in creating this noxious mixture of “smoke” and “fog”. Smog is a haze we see today during our hot and humid summers. This combination of ground-level ozone, nitrogen dioxide, hydrocarbons and dust particles is monitored regularly and regulated by the US EPA due to increasing health concerns for sensitive populations like children, the elderly and people with allergies or asthma. In Kansas City, emergency room visits and hospital admissions increase significantly when ground-level ozone concentrations are high. Ground-level ozone irritates the eyes and nose, causes inflammation, difficulty breathing and even chest pain. It is formed by emissions from vehicles, power plants and other sources mixing with heat and sunlight, which is why summer is the most troublesome for air quality. Poor air quality knows no political boundaries, though, and smog will often creep northward with the warm, south winds of summer. There is something we can all do to help. With daily work commutes averaging around 20 miles, multiple highway corridors, and abundant parking, it’s easy to see why so many folks in the Kansas City area drive to work. It’s also easy to see how our routines are contributing nearly half of the ozone forming emissions that contribute to poor air quality. Leaving your car at home even twice a week can save over 270 pounds of harmful ozone-forming emissions. The MidAmerica Regional Council’s RideShare Connection is hosting the Green Commute Challenge now through September 28th to help raise awareness of air quality issues, reduce use of single-occupant vehicles in the peak summer season, and encourage transit use across the metro area through an employer-based contest. Thirty teams have joined from across the Kansas City area and over 900 people are taking the challenge to use alternative transportation. Between bicycling, riding the bus or carpooling to work, and walking or simply staying in for lunch, the challenge has already reduced emissions by over 250,000 pounds. That’s like taking 14,000 cars off the road for a day. During the 12-week challenge, participants track their trips online and earn points. It’s a great way to see how our individual choices can add up to big benefits and many participants are using public transportation to earn serious points for their teams. We can all do our part for air quality and using transit is a great way to start. And you don’t have to wait for national fuel efficiency standards or alternative energy sector growth to help! Compared to other household actions, using transit can reduce emissions by more than 10 fold. A robust public transportation system is one of the very best investments any community can make to minimize emissions and reduce greenhouse gases. Transit can’t beat bicycling or other no-emission commutes, but modern buses are often hybrids using natural gas, biodiesel and other low emission fuels. The KCATA Metro MAX has several hybrid and clean diesel vehicles and both KCATA and The JO will be adding natural gas vehicles to their fleet. Does being a transit rider make you an air quality hero? It depends who you ask but there’s no doubt that reducing even a few solitary commuting trips in your car can help reduce greenhouse gas emissions that contribute to global climate change and poor local air quality. Kansas City had 18 Ozone Alert days already in 2012, up from only 9 last year and 4 in 2010. We’ve exceeded ozone concentration standards 16 times this year and we’re setting a pace to top the last 2 years combined for quantifiable poor air quality. Poor air quality affects everyone’s health and it can make doing business more expensive as tighter regulations are enacted to meet basic national standards. When local budgets get tight and cuts seem imminent, priorities have to be defined to guide the process, but with growing concerns about air quality and the human health impacts a very clear reality in the Kansas City metro area, you have to ask: why is public transportation not a priority in Johnson County? How can eliminating bus routes by 45% (and reducing service on another 45% of routes) serve our collective goals for air quality when it is the first, best way to reduce harmful ozone-causing emissions? We don’t believe cutting bus services voluntarily is in the best interest of Johnson County or the collective community when it comes to air quality issues or the kind of reliable public transportation system the public increasingly demands. It’s not too late to improve air quality in Kansas City. From alternative fuel blends and hybrid vehicles to using low emissions paint in our homes and native landscaping in our yards, people across the metro are doing so much to reduce harmful greenhouse gases and ground-level ozone in our community. Using transit is one of the most effective things you can do to help ease air pollution and prevent smog from ever forming. 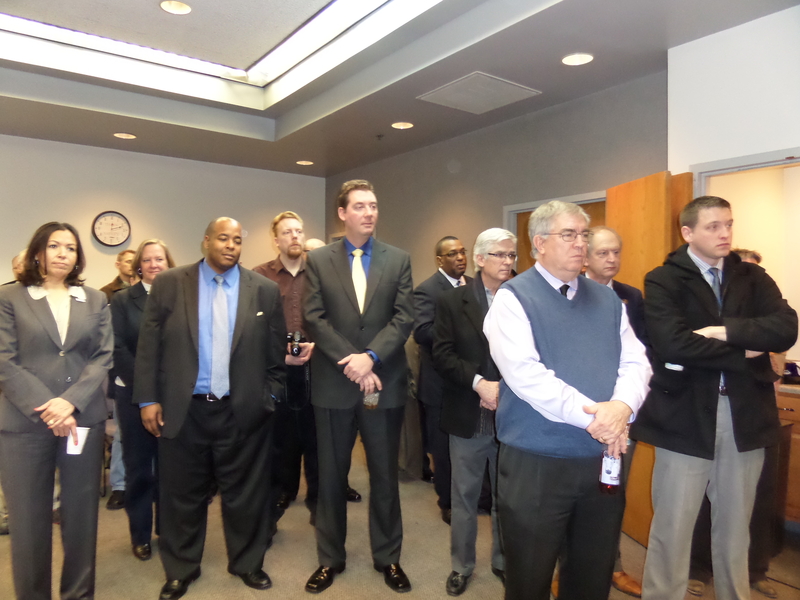 The only question is: if you live or work in Johnson County, will you still have the transit option in 2013? 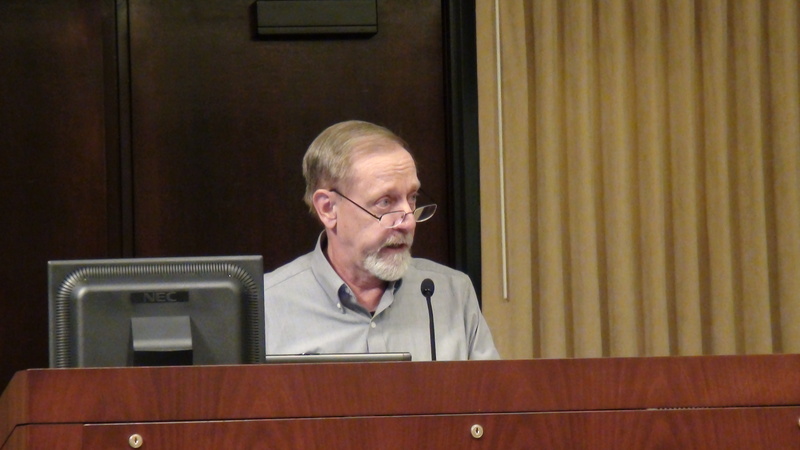 The Johnson County Board of County Commissioners probably got a surprise at the Public Budget Hearing Monday night. Nine of the eleven people who testified at the hearing did so because of the transit budget and proposed plans to eliminate or reduce 90% of The JO routes in 2013. Unfortunately for transit riders, participation was very difficult since the Johnson County Administration Building is hard to get to on transit and it is impossible to use transit to get home afterwards. The Commissioners heard a wide range of perspectives and concerns but they all agreed on one point – find the money to keep The JO running. 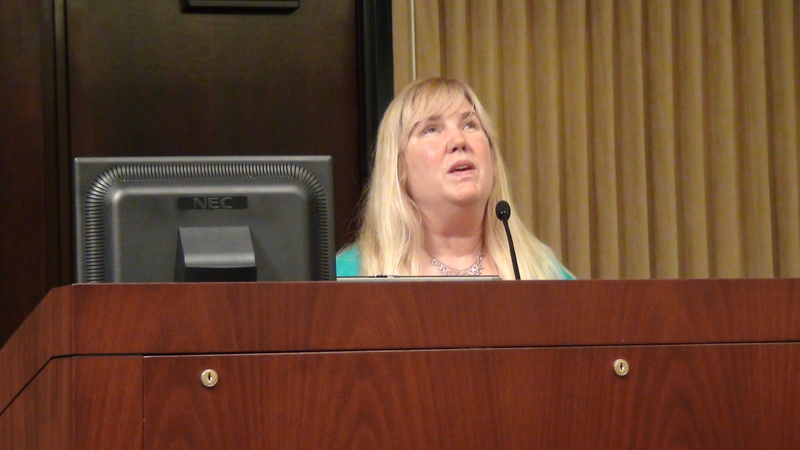 Speakers were concerned about job losses, the environment, the elderly and disabled, social equity issues, the potential of losing the young professional class of workers, the County’s failure to honor its commitment to replace federal CMAQ funds and much more. 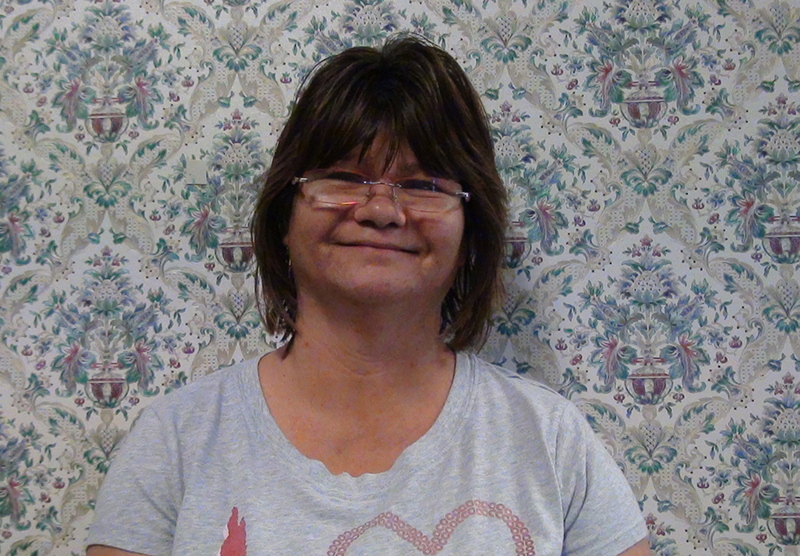 Two of the testimonies are posted on our Save the Jo Facebook event page. 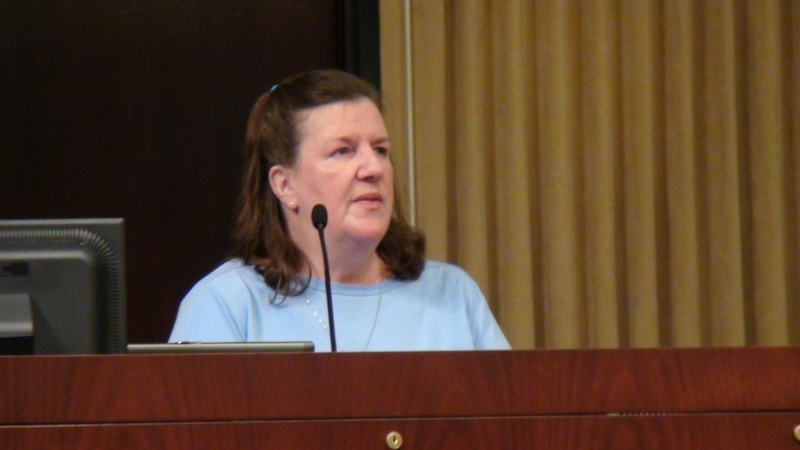 The whole budget hearing is posted on the county website The individual testimonies start after the County Managers presentation at the 19 minute mark. 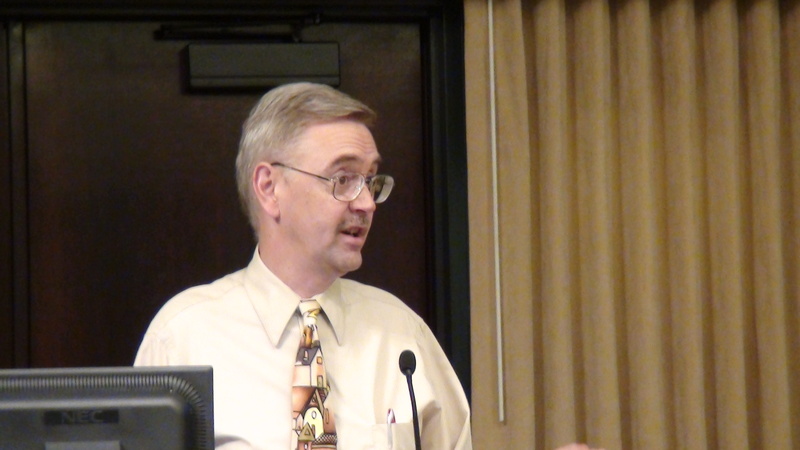 The County Manager makes it very clear that Johnson County has the lowest mill levy in Kansas. Not having money for transit and other services in Johnson County is a self-imposed austerity. According to the County Manager, Johnson Countians pay an average of .58 percent of their household income on county taxes. The operating cost for the current 20 routes is $5.7 million* with only $2 million coming from the county and the County Commission is currently saying they can’t afford any more than that. Of course, not all of the Commissioners agree. The JO riders pay over $1.1 million of the service. Of course that number will go down if nine routes are eliminated. The rest, $2.6 million, is federal and state money. Much of this large subsidy is going to disappear over the next two years but currently the Commission doesn’t plan to replace it. Normally the bulk of transit operating expenses has to come from local sources. A lot of the federal money is related to federal Congestion Mitigation Air Quality (CMAQ) funds used as seed money to start the CONNEX routes. The federal government doesn’t normally pay operating expenses. After three years the CMAQ money is finished and the money has to be replaced locally to keep the routes. The Commission understands it commitment to replace the CMAQ funds for new routes with additional money. In previous administrations the Commission has been fiscally responsible and provided those new funds. This time the Commission is keeping the CONNEX routes and spending $10.7 million of additional federal money for major infrastructure improvements for this service through a TIGER grant, but they aren’t adding the new operating money. We don’t think that is a fiscally responsible decision. If the Commission wasn’t going to provide the operating cost for the CONNEX routes, they shouldn’t have started the routes and applied for the TIGER grant. As a result, it appears that many routes must be eliminated or reduced to make up the difference. The CONNEX is potentially a great new service but the County needs to pay for it without dismantling The JO. JO ridership is growing by 12%. While an increasing number of county residents are opting for public transportation, Johnson County Commissioners are dismantling what little transit is left. While the one-occupant car may be the current transportation mode of choice, you don’t need to look out very far to see fuel supply constraints, worse traffic congestion and more air pollution – none of which enhances the view of Johnson County as a quiet refuge for those seeking tree-lined streets, responsive government and effective planning. For perspective on the county’s funding commitment to transit, the Kansas City, MO contract with KCATA this year is over $46 million. The residents of KCMO have a 7/8-cent sales tax to provide transit. 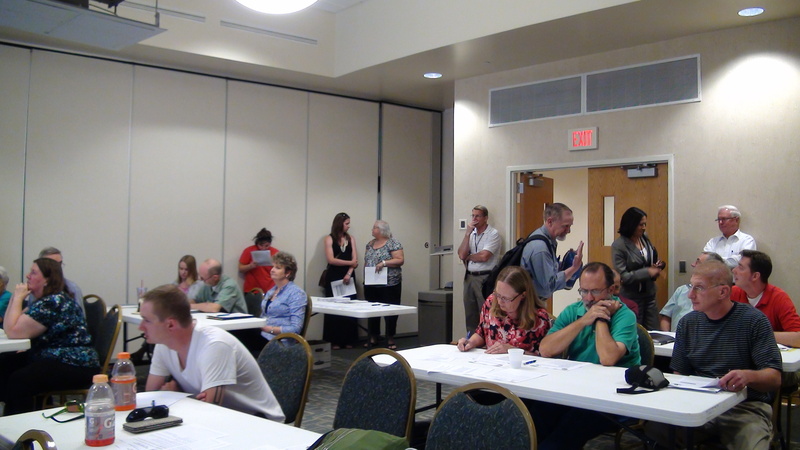 JoCo residents pay extremely little in property tax to get the JO. Johnson County prides itself on education, infrastructure and services but if you want transit you have to pay for it. Johnson County deserves a real transit system that stands a chance of winning people out of their cars. Tomorrow, we’ll post a video about a real solution for a comprehensive county-wide transit system. 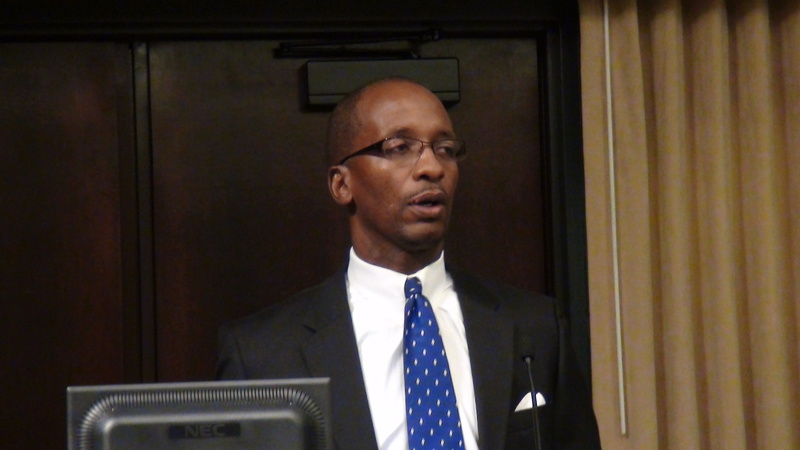 A plan already exists that was created just for Johnson County by Johnson County residents. 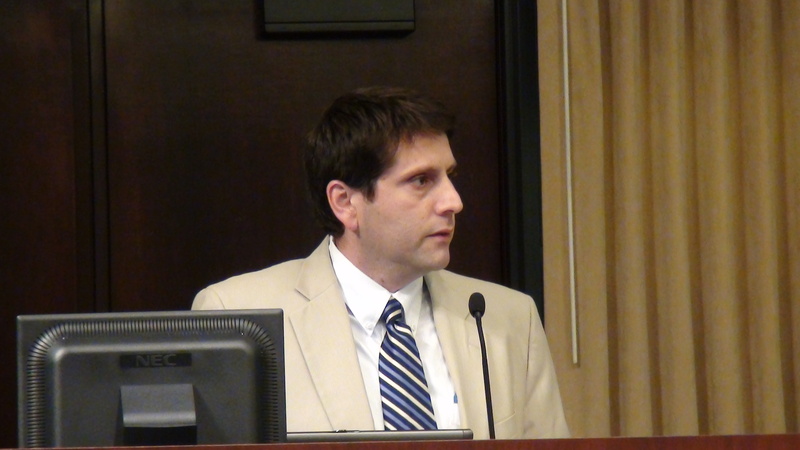 *Figures are based on the Johnson County Transportation Council meeting packet for April 2012. 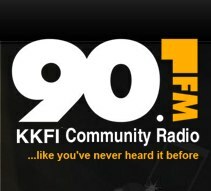 It’s Not Just About 669 – Save The JO! 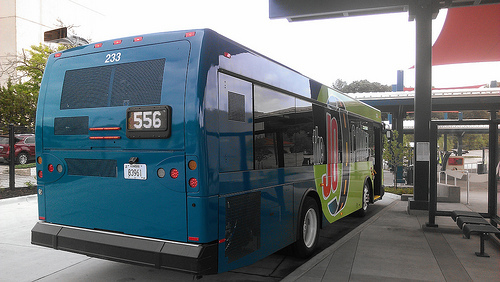 We’ve blogged about Johnson County Transit’s plan to eliminate Route 669. But there are other essential routes on the chopping block, too. Here are entries that we previously posted on Flickr about three of the other routes that we believe deserve special consideration. Only lack of time has kept us from posting about some of the other routes as well. JCT Route 546 – Johnson Drive / Quivira — Save This Bus! 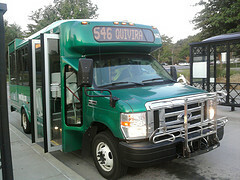 The Route 546 bus pauses at the 6000 Lamar Transit Hub in Mission at 6:14 am to exchange passengers with other routes. This particular bus brought 4 passengers from points in Shawnee and Lenexa. Route 546 previously went all the way to Downtown Kansas City, but it was truncated at 6000 Lamar in January, 2012, to cut costs. Passengers who previously had a single-seat ride to their Downtown destination now have to transfer. As a result, ridership has suffered, and on many days one of these little 12-14 passenger buses is used. In addition, these small buses ride like trucks, and that doesn’t encourage ridership, either. Route 546 is proposed for elimination effective January, 2013. 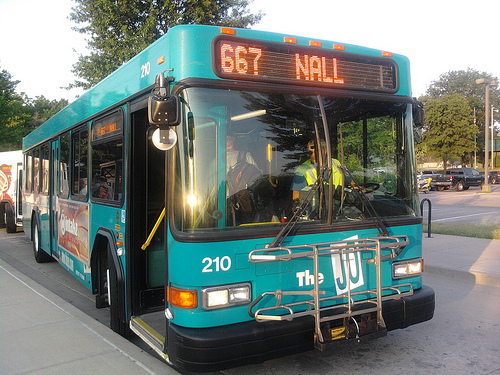 JCT Route 667 – Nall — Save This Bus! The first of two inbound morning trips of JCT Route 667 pauses at the 6000 Lamar Transit Hub in Mission at 6:49 am to exchange passengers with other JCT routes. This route is proposed for elimination effective January, 2013. This particular trip served about 13 passengers, 11 of whom boarded at 6000 Lamar or closer to its Downtown Kansas City final destination. Route 667 passes KU Med Center, where only one passenger got off. Low ridership has to be due, in part, to the fact that there is virtually no evidence of this route along the way: only six JO bus stop signs were spotted beyond this point for inbound (i.e., toward KU Med and Kansas City) riders, and none of those are within Wyandotte County where KU Med Center is located. First rule of public transit: Make the service visible. JCT Route 672 – Midday — Save This Bus! 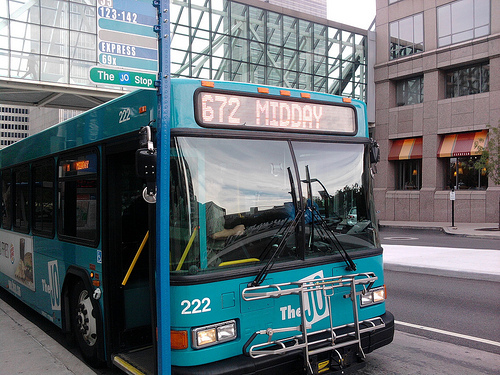 The Route 672 – Midday bus stops to board passengers at Crown Center at 1:07 pm daily. Originally known as Route M – Midday, this route has long been a mystery. After all, what does “Midday” tell you about where it might take you? Nothing, right? It’s a wonder anybody rides it at all, yet it currently averages about 20 riders per day. 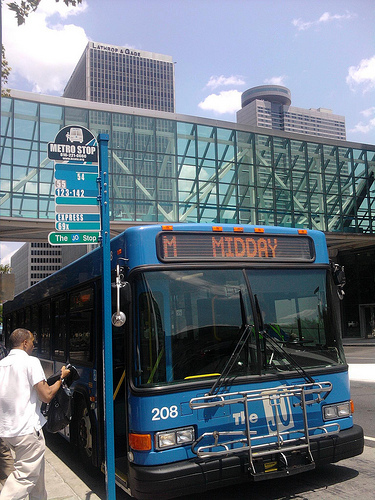 The Midday bus makes one daily round trip from the Great Mall in Olathe to Downtown Kansas City and back. Along the way it serves the Johnson County Courthouse in Olathe, Harvest Community Church park-and-ride lot on Strang Line Road, Johnson County Community College, Oak Park Mall (and park-and-ride), Metcalf South Shopping Center (and park-and-ride), the 6000 Lamar Transit Hub in Mission, the retail complex in Roeland Park, Central Library and Sprint Arena in Downtown Kansas City, Crown Center (Lego Land, SeaLife, Kaleidoscope, shopping, etc), Union Station (Science City, special exhibits, etc). Route 672 is proposed for elimination in January, 2013. Because it’s not a commuter route, it doesn’t have a core group of “regulars” to come to its defense. Instead, it serves occasional transit riders who use it for a variety of purposes. Thus, it needs all of us transit proponents to come to its defense if it’s to survive. (If you’re a regular on one of The JO’s commuter routes, 672 is your backup — even though you might not be aware of it.) Instead of elimination, Route 672 needs a second trip — for example, in from Great Mall, out only as far as OPM or JCCC, then back to Downtown and back out to the Great Mall. That would be less than double the miles, but more than double the value to its current and many potential users. Come on, Johnson County Transit, don’t eliminate Route 672 before you’ve even given it a proper chance to succeed. Transit Action Network is at a loss to understand why Johnson County Transit (JCT) would propose to eliminate Route 669-I. 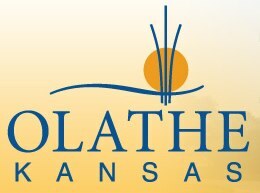 This route connects Kansas City, Missouri, and Kansas City, Kansas (KCK), with employment locations in Johnson County, including Southlake Business Park, Downtown Olathe, Villa St. Francis, and Lenexa City Hall. At the beginning of this year, Route 680-V was eliminated and 669 was adjusted to serve Villa St. Francis near 127th and Strang Line as well as KCK. As a result, 669 ridership increased substantially. KCK residents who work at Villa St. Francis wrote a letter to JCT and they have given us permission to publish it. From: Villa St. Francis employees who ride 669I ROUTE ON A DAILY BASIS to and from our job at Villa St. Francis. We, the employees of Villa St. Francis, wish to make our concerns known regarding the bus route cuts involving 669I that are to take place on January 2, 2013. If you recall, last year about this time, we were again facing bus route changes. JoCo Transit took away our job link bus that we had for approximately 14 years. Twenty of us, which by the way you have received all of our signatures in protest of the changes, paid for transportation to and from our job like everyone else. You provided us with a quick route and we were taken care of in 20-30 minutes. Straight down I-35 to 18th St. to Central Ave. at 16th and to 7th and Sandusky and done. We Thank You for getting us to our destination quickly. Then comes the so-called “Budget Cuts” and we are thrown into public transportation. We were grateful to still have bus service. Its been 5 months now, and we have adapted to the 4:03 [PM] pickup time [from VSF] getting us back to k.c.ks. at 5:03PM. On days when traffic is heavy, we get to 6000 Lamar a little later and don’t have to sit there as long. If we have a clearer run down I-35, we get to 6000 Lamar and just sit which seems like forever. Plus, if we have to wait on other passengers, that also gets us away from 6000 Lamar later. A lot of days we don’t get back to k.c.ks. until almost 5:10PM. It must be said that our bus driver Ray is great. He is the best heavy traffic driver and is so nice and patient. Now, we are going through this again. With riding the 669I bus, we found that there are a lot of people who ride this route. All of us going to our jobs. This bus is almost packed in the morning, and half that in the afternoon. We all depend on the JoCo Transit. It’s hard to believe that with all the people depending on the bus and riding daily that cuts are again having to be made. People don’t have cars, but depend on transit to get them to their jobs. People come from Missouri [Note: 669 originates at 10th and Main in Missouri] to Olathe and farther South depending on the bus to help get them there. With the rough draft you proposed, you still have buses going back and forth from Missouri to 151st and Murlen for example. You have to go through Kansas to get to Missouri. Why cut our route which stops in k.c.ks.? The 669I should stay in service. So, we the employees at Villa St. Francis wish to be heard. We ask you to consider providing Villa St. Francis employees with some transportation, having us leave VSF at 3:30PM and take the same route we had before straight down I35 to 18th St. to 16th and Central to 7th and Sandusky. Our group doesn’t even need a larger bus. We would be very grateful. We just want something. If this cannot be done, then we ask that you not change the current 669I route and give all of us at VSF and others a way to get to and from our jobs. Thank you, and please take VSF into consideration when making your final decision. Please do not cut the 669 route. Route 669 is the only transit connection between downtown KCK and Johnson County. It starts at 10th and Main in Kansas City, Missouri, then to KCK and on to Lenexa and Olathe. 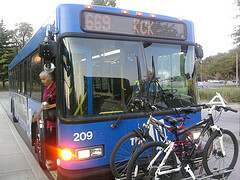 The 669 service was re-routed in January 2012 to KCK. It is particularly disturbing that the KCK workers at Villa St. Francis first lost a bus service they had for 14 years, only to be told they might lose the only remaining KCK/JoCo transit option to work in 2013. This route and route 677-R are the two ”reverse commute” express routes to Johnson County, and they are both proposed for elimination. This gives riders the unfortunate impression that workers from Missouri and Wyandotte County are not welcome in Johnson County. We have received communications from other workers who use this route to get to work. The following excerpt is from a rider who wrote to several Johnson County commissioners and lives in KCMO and uses this reverse commute bus. I would also ask you to carefully consider that not all transit riders have “no other option” and that people like me, considered “choice” riders, use this vital public resource to help manage a rising cost of living. Since the JO has experienced considerable growth in ridership over the last year, its clear there are many reasons for people in Johnson County to choose public transportation. I’ve been without a car for 2 years in an effort to pay off my student loans and while it’s not always easy, it’s a sacrifice I’m willing to make in this tough economy. Many of the people I’ve met on I and D routes of the JO are a part of hard-working families, people who make the choice to spend over an hour, each way, on the bus to save money. I’ve met several nurses and Sprint engineers, warehouse workers and municipal employees from 3 cities who are all trying to squeeze a little more from their budget by using public transportation. Yes, we choose the bus but many choose it pay for sports teams for their kids, visiting nurse care for their elderly parents or to keep the one family car in good repair. We may be choice riders but if the choice is to pay the rising cost of gas or to pay for quality child care, the options are limited. The proposed JO service eliminations for 2013 will make tough choices even tougher for people like me who aren’t looking for the easy way, who aren’t asking for a handout, who just want the chance to work in Johnson County. Eroding service levels when ridership is on the rise is not a sound approach and I hope your dedication to careful and serious consideration of the facts will lead to continuing current JO service levels at least. Using information JCT made public, TAN evaluated route 669 and it compares favorably in performance measures to several routes being retained. In fact, it has a better farebox recovery ratio, lower annual cost per rider, and higher daily ridership per trip than routes 556, 575, 856, or 875 — all of which are proposed to be retained with slight modifications. It is important to compare the routes using measures such as riders per trip or cost per rider since the raw numbers can be misleading. Route 669 has only 4 trips per day (2 each way) so the ridership can look low compared to the 556, which has 20 trips per day. However when riders per trip or cost per rider are used then the routes can be compared in a fair manner. If anything, this route should have increased service. When KCATA completed a comprehensive transit analysis last year, one of the recommendations from the national consulting firm, Nelson/Nygaard, was that commuter routes should have a minimum of 6 buses a day, three out in the morning and three returning in the evening. Four buses limit the ability to attract riders since there isn’t the flexibility to cover enough work hours, which is needed for a serious service. Despite this limitation, ridership is up. 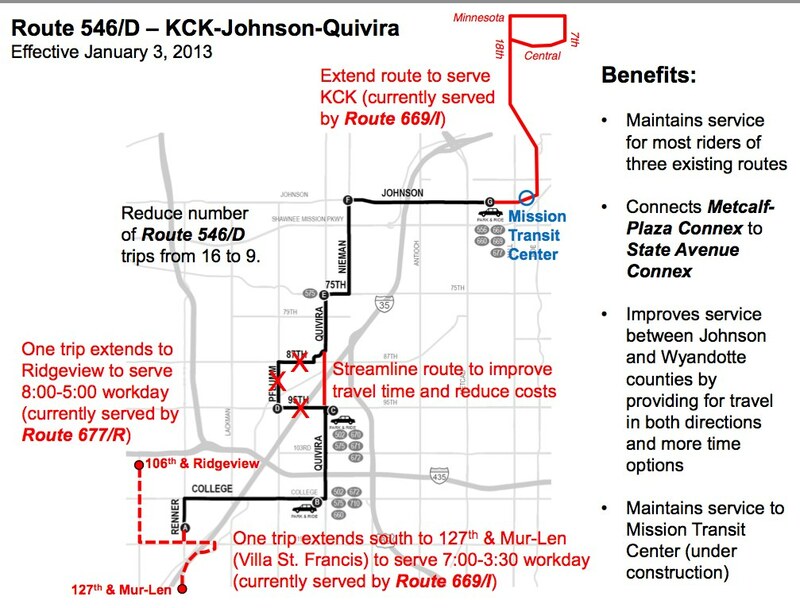 When Johnson County cut its transit budget at the beginning of 2012, JCT made a round of service cuts. They tried to combine and re-route buses in order to cover the needs of the same population as in 2011. They hoped these changes wouldn’t hurt too many people. However, in a desperate attempt to do more with less, they ended up with some poorly designed routes and schedules which make it harder to use the system. Yet, ridership is up. Now JCT is proposing to make even more severe cuts. Instead of some riders having long poorly designed routes, they won’t have a route at all. Significant populations and sections of the region won’t be served. Politicians keep saying it is all about jobs. In this case we are talking about working people who may lose a job or have to look for a new one in this economy because they lose the ability to get to work. If these cuts are implemented, riders on 18 of the 20 routes, whether they ride by necessity or by choice, will have to make personal decisions and ask if there is still enough transit in Johnson County to allow them to use the service. The answer will be NO for many of them. 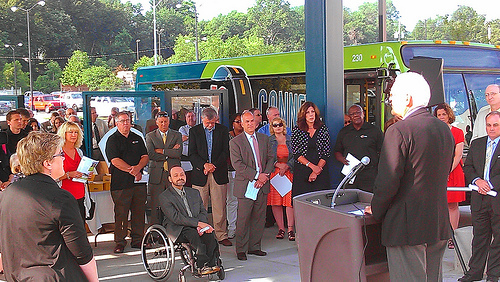 Transit provides access to jobs, helps the economy and improves the environment. Johnson County is going in the wrong direction. Tell the commissioners to “Stop The Cuts” and start building a reasonable transit system that is worthy of one of the richest counties in the country. See our action list to Save The JO and join our Facebook event to share your ideas and tell what you are doing to help. 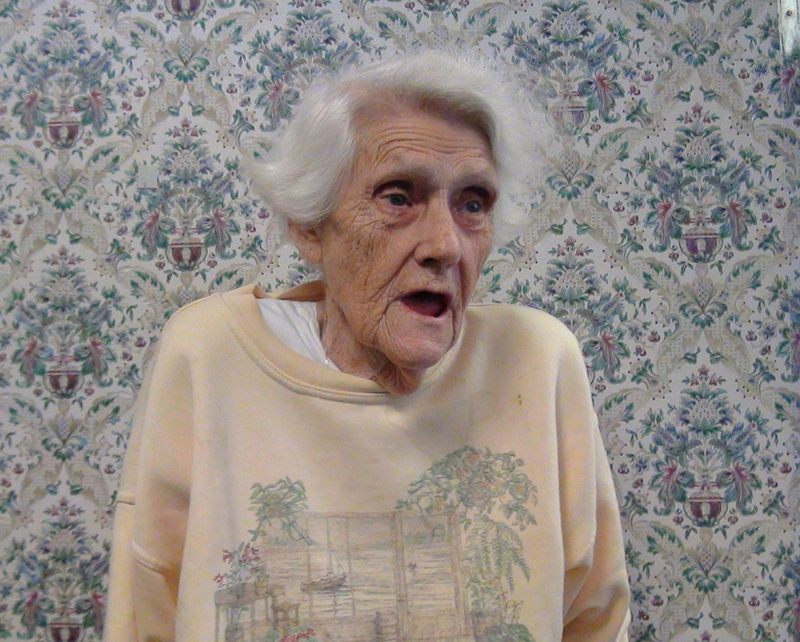 Watch our Save The JO video interviews.